Here are a couple of clues as to who made the list: one blueliner is making his mark in Music City, while another continues to stand tall for an Original Six squad. 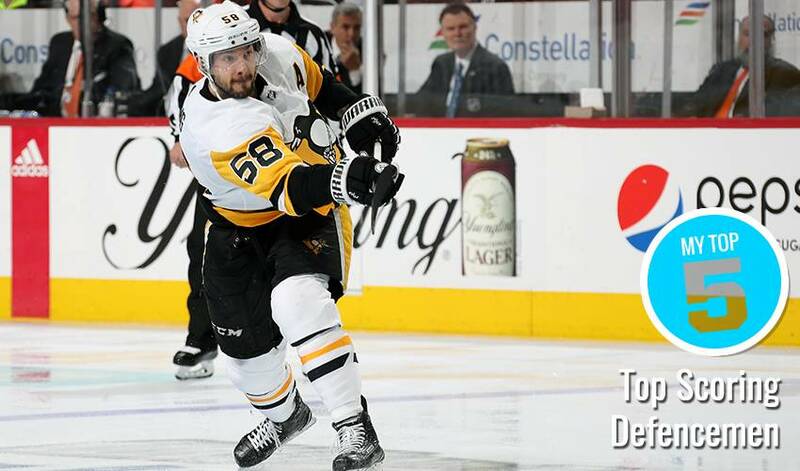 A multiple Stanley Cup champion with the Pittsburgh Penguins, the versatile Letang is tied for most power-play goals (9) amongst active defenceman in the Playoffs and tied for most game-winning tallies (5) with two other blueliners. Boston’s behemoth on the blueline has played the most games (156) amongst active defencmen in the Playoffs. Chara, who has skated in 1,423 regular season games, also leads the way in another post-season category: 190 penalty minutes. Nashville’s dynamic defenceman has 14 goals and 41 assists in 85 Playoffs appearances. The 28-year-old scored a personal-best 16 goals during the 2017-18 regular season. Subban recorded 12 points in 22 post-season games with the Predators in 2016-17. A veteran of 870 regular NHL season games, the Minnesota native has seen playoff action with the New Jersey Devils, Pittsburgh Penguins and the San Jose Sharks. Martin had a playoff career-best 11 points with the Penguins in 2012-13. Over the course of 103 Playoff games, McDonagh has 10 goals and 35 assists. Currently, in his first post-season action as a member of the Tampa Bay Lightning, the former New York Ranger had 17 points in 25 post-season contests with the Blueshirts in 2013-14. Less than 40 regular season games away from 1,000 for his NHL career, Burns, a two-time all-star and the 2017 winner of the James Norris Memorial Trophy, has 15 goals and 30 assists in 71 Playoff games, including seven power-play markers. If Ryan McDonagh wasn't an NHL player, he'd be on the sidelines calling the plays for another sport. Answer to this and more in this week's Player Q&A!